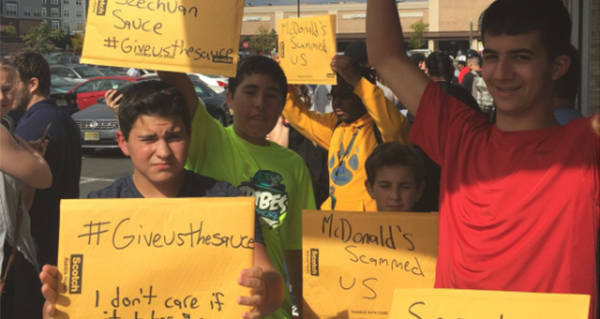 Police were needed when angry fans protested McDonald's limited quantities of Szechuan sauce. Lulu Ramadan/Twitter The line outside a Wellington McDonald’s, where cops were called after a riot broke out. Last week, McDonald’s announced that they would be bringing back their long-out-of-production Szechuan dipping sauce for one day only, much to the delight of ‘Rick and Morty’ fans everywhere. Now, it seems, the harmless PR stunt has spiraled into chaos. ‘Back to the Future’ and features a long-running gag about the sauce. In April, fans began a petition, after McDonald’s corporate chef Mike Haracz hinted that he’d be open to bringing the sauce back. The fast-food chain announced last week that they would be capitalizing on the gag, and offering the legendary sauce, originally released 20 years ago in conjunction with the Disney film Mulan, for one day only. However, McDonald’s seems to have underestimated just how many fans of the sauce there were. Lines began forming in the early hours of October 7, and quickly wrapped around buildings, and down blocks. Then, when McDonald’s began to run out of the sauce, customers began to riot. At a restaurant in Newark, angry customers held up protest signs, demanding the sauce they had come for. 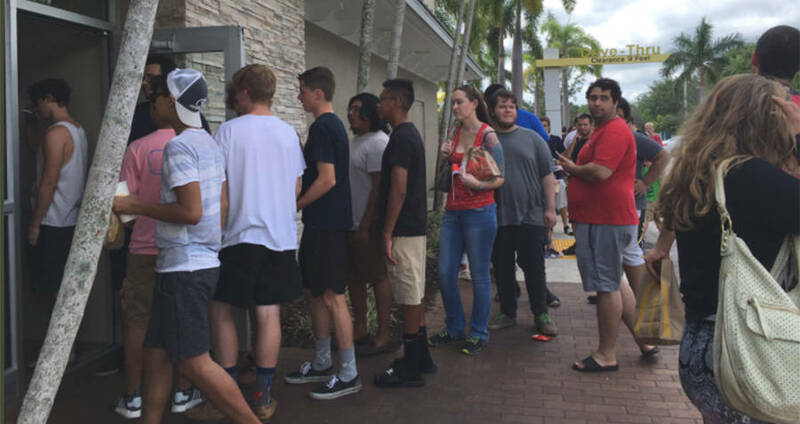 Some customers resorted to yelling at McDonald’s employees when they reached the counter and discovered the Szechuan sauce was sold out. However, fans aren’t backing down, and demand is still high for the sauce. Online, those who were able to get their hands on some packets are selling them for hundreds of dollars. So far, no word on whether McDonald’s will be producing more packets of the sauce, or if the only way to get your hands on one will be by forking over way more than the cost of a few happy meals. Enjoyed this? Check out this map of America, visualized by McDonald’s locations. Then, read about International McDonald’s menus from around the world.